Dockless bike share is a relatively new concept in Sydney. You can use these bikes once you download an app on your phone and sign up. Dockless bikes give you the freedom to end your trip near your destination. When you are finished with the bike you can lock it up without the need to attach it to a railing. Randwick City Council is committed to working with bike share operators to establish fair use of public space that maximises transportation options and the health and wellbeing of residents and visitors. In December 2017, six Sydney councils developed the Inner Sydney bike share guidelines. 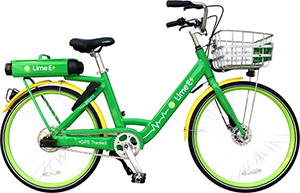 These guidelines set out our expectations for dockless bike share operators. They were put together by the City of Canada Bay, the City of Sydney, Inner West, Randwick, Waverley and Woollahra councils with bike share operators and other stakeholders. Contact the bike share companies directly if you would like to find out more about their services or to report any issues. Park bikes away from building walls, busy streets and narrow footpaths so that people can easily walk or travel along the footpath. Park bikes near, but not directly next to bike racks, to keep space free for regular bikes that need to be locked to a fixed point. Report any issues directly to the operator, such as damaged bikes or bikes causing an obstruction. Riders should obey NSW road rules at all times. NSW Police enforces the road rules and can issue penalties for offences. Riders can incur heavy penalties for offences such as not wearing helmets, unauthorised riding on footpaths, reckless riding and riding through red lights. Contact the Police Assistance Line on 131 444 for more information. If bikes are causing an obstruction they can be picked up and moved out of the way. Alternatively we encourage people to contact the relevant operator directly. Randwick City Council does not own or manage dockless bikes. Bike share operators are not responding in a timely manner to a bike causing an obstruction. We encourage operators to share data with government agencies for transport and urban planning. Operators should inform their customers about correct bike parking and responsible riding. Operators should promote legal and responsible riding when members join and regularly afterwards. All operators and their customers must obey NSW road rules and consider the safety and comfort of other people on the road and footpaths. Bicycles must have bells or other warning devices, front and rear lights, and a rear reflector. Bikes shouldn’t be placed on footpaths that are too narrow or busy, or where they could pose a safety hazard. They should be placed kerbside away from the building. 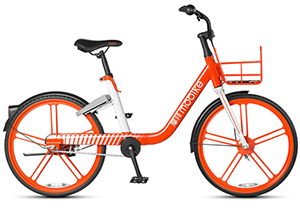 Share bikes can be placed near public bike racks but rack space should be left free for regular bicycles that need to be locked to a fixed point. Operators must be proactive in the redistribution of bikes according to demand, to avoid excessive build-up and clutter in an area. Randwick City Council expects bike share operators to seek legal advice ensuring their fleet is safe and complies with laws regarding user behaviour, consumer protection, transport and road safety. Operators should enable easy reporting of faulty or damaged bikes, or bikes parked in inappropriate locations, through their app, email, website or phone. Faulty or damaged bikes should be removed or repaired promptly. Operators should also have a means to track their bicycles, such as GPS.